When you think of garage doors, most people generally just think of the basic garage doors at their homes. 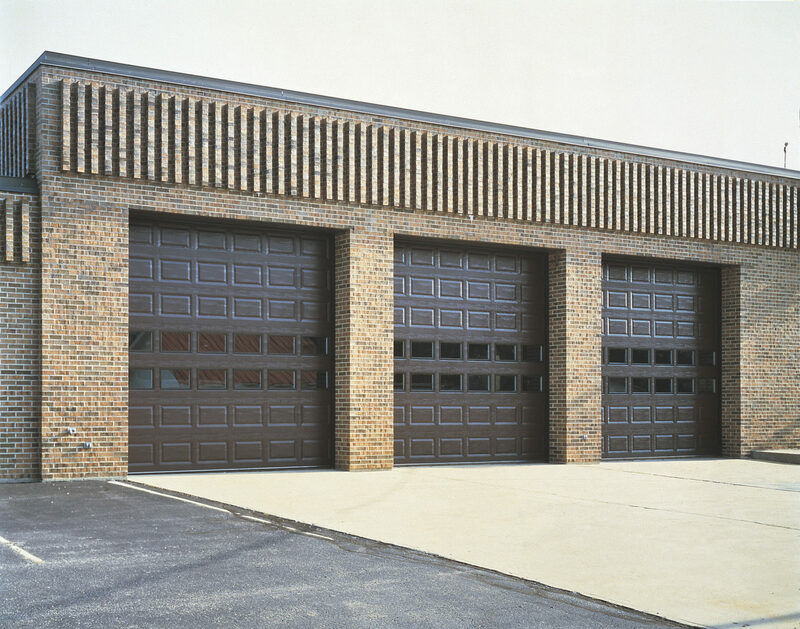 However, we offer many other types of commercial garage doors in Schererville, IN and all of Northwest Indiana. Our full line of commercial garage doors come in many different shapes and sizes. While most residential garage doors are about the same general size and function in the same basic way, commercial garage doors cover a wide range of applications. There are all kinds of shops, like tire stores, auto repair shops, warehouses and storage units that use different sizes and styles of garage doors and garage door openers. Some of these doors are manual, while many others are automatic. However, even automatic doors are not all the same. The bottom line when it comes to commercial garage doors is that you want something that is safe and functional. You can’t afford to have a garage door that doesn’t work or that could cause an injury to either an employee or a customer. At Affordable Garage Door Inc. we take care of all of your commercial garage door needs in Schererville, IN. Aluminum – Aluminum doors are a great choice for architectural applications that need to allow light and plenty of visibility. These doors are also great for giving your overall design a modern and open feel. 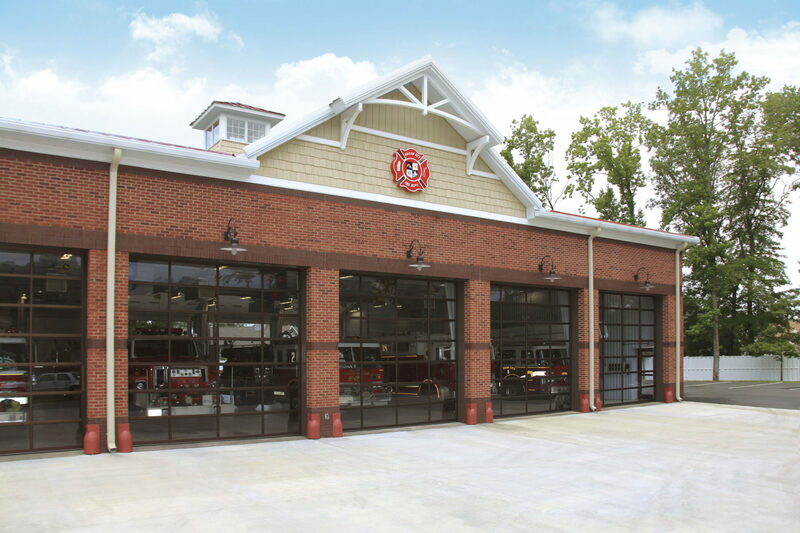 With ample glass windows, these doors are great for car dealerships and fire stations, as well any type of service station. Coiling Steel Doors – These doors are made with sheets of steel that are formed to roll smoothly and efficiently by roll form guides. They are great for storage units or other locations that don’t have as much overhead space. Insulated Sectional – We offer a wide variety of insulated sectional doors that provide great climate control along with durability and reliability. These doors are great for temperature control, and they provide excellent energy efficiency, as well. If you need your garage door to help keep the heat in, or to keep the heat out, these garage doors are an excellent choice. Non-Insulated Sectional – We also offer a large selection of commercial sectional doors for buildings that do not require insulation or temperature control. These doors are constructed of the same durable materials as insulated sectionals, but they are used for different applications and purposes. Specialty Products – We also provide many specialty products for all kinds of other commercial garage doors, including chain link security doors and many kinds of bay doors for warehouse docks. Custom Engineered Doors – The choices are almost endless at Affordable Garage Door Inc. We even offer many different customized doors to fit your specific needs, including lite-four-fold doors, industrial sliding doors, crane doors, telescoping doors, swing doors and even fire and hangar doors. When it comes to commercial garage doors, we have you covered. No matter what kind of garage door you need or what you need it for, Affordable Garage Door Inc. can get the right door for you. Please contact us today by clicking here, or give us call at 219-696-4279 or toll free at 800-584-5845 for a free upfront estimate. You can rely on us to get the job done right at an affordable price.